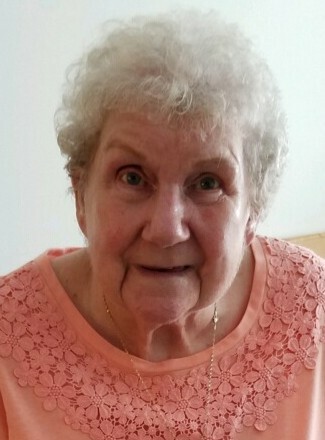 Obituary for Dorothy C. Hrinda | Dimon Funeral Home and Cremation Services, Inc.
Dorothy C. Hrinda, 91, of Camp Hill, formerly of Williamstown passed away Wednesday morning at her home. Born in Shamokin, January 11, 1927, a daughter of the late John and Catherine Slashinski. Dot was a retired seamstress from the garment industry. She was a member of the Sacred Heart of Jesus Catholic Church, Williamstown and a former social member of the Williamstown American Legion. Dot enjoyed her family, whether it was taking vacations, going out to eat or just spending time with them. She loved to clean and took great pride in the appearance of her home. She was preceded in death by her husband John Hrinda Sr., 2016; an infant son in 1960 and a brother Albert Slashinski. Surviving are one son, John Hrinda, Jr. and his wife Kathy, Williamstown; one daughter, Kathy Hughes and her husband Brad, Dillsburg; nieces and nephews. Mass of Christian Burial will be Celebrated Wednesday, December 12th at 10:30 am from Sacred Heart of Jesus Catholic Church, Williamstown with Rev. Michael Opoki, as celebrant. Burial will be in the Indiantown Gap National Cemetery. Viewing will be from 9:30-10:30 at the church. The family would like to thank Billie Jo Mamedov, and Sandy and Arlene Fisher for being wonderful caregivers to their mother; also to Father Berger of Good Shepherd Catholic Church, Camp Hill for his faithful visits. In lieu of flowers donations should be made to Homeland Hospice, who took excellent care of Dot, 2300 Vartan Way Suite 270, Harrisburg PA 17110. Funeral arrangements have been entrusted to Dimon Funeral Home, Inc.